Ben (my son) had his birthday party last weekend and we hosted a shindig at a local community center for Ben and ten of his closest friends. 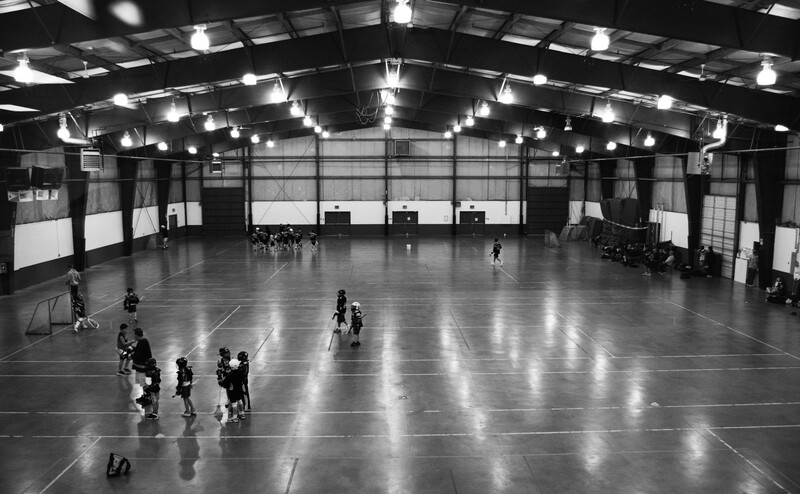 While we were there, a lacrosse practice started in an adjacent room in the building. What amazes me most is not that these kids give up part of their Saturdays to practice, but that one of them ends up in goal. These poor little goalies, dressed head to shin guard in armor, have all of their teammates use them as target practice for about two hours. That’s like asking for the firing squad, but knowing the bullets won’t kill you, only hurt like crazy. Pentax K20D; Pentax DA 18-55mm AL II; f4.5; ISO 800; 1/60 sec. Wherever I went on Sunday there were interesting people. 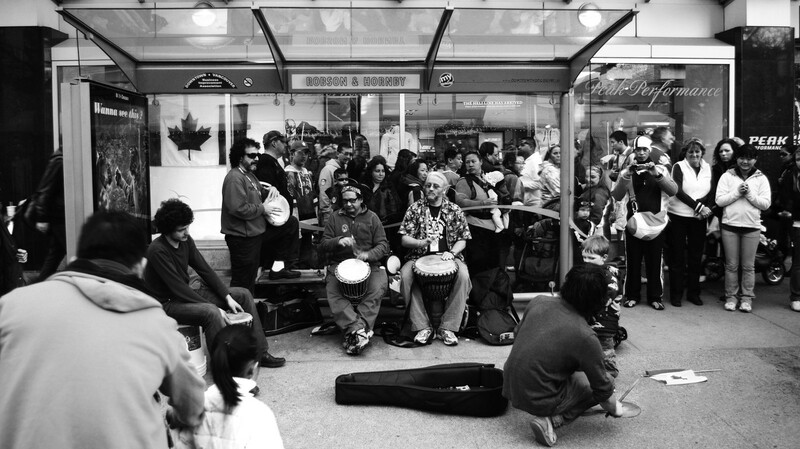 At this bus stop there was a group of percussionists. On the bottom right you can see a little guest. He must have happened by and thought the cowbell was worth playing. When I got there this little virtuoso was clanging the cowbell like his audience was deaf. And then, in one of those random thought moments, I remembered an old SNL sketch in which Christopher Walken states that he “has a fever, and the only prescription is more cowbell” and I laughed to myself. Pentax K20D; Pentax DA 18-55mm AL II; f3.5; ISO 100; 1/30 sec. What impressed me most in Vancouver on Sunday was the number of people. I visited Barcelona last spring and thought that I would never again see as many people on one street as I did on “La Rambla”. 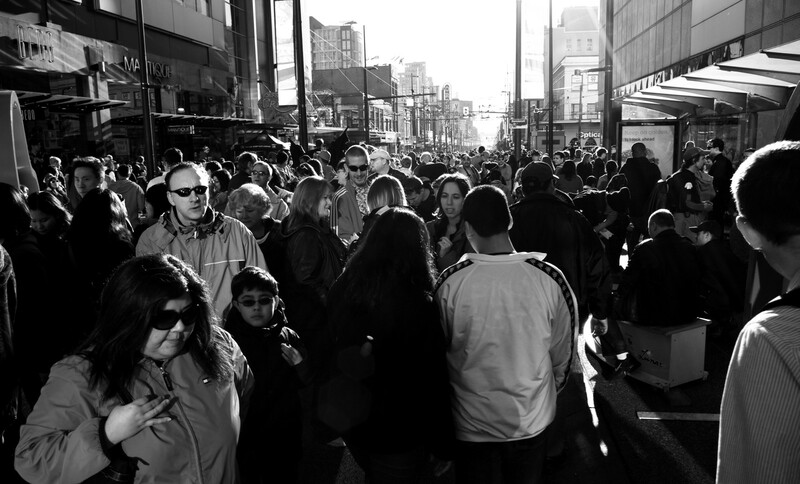 Vancouver, Sunday, rivaled my memory of La Rambla. btw, I wish I could say I spent some time setting up this shot, and worrying about composition, but I really just lifted the camera over my head and pulled the trigger. Pentax K20D; Pentax DA 18-55mm AL II; f7.1; ISO 100; 1/200 sec. I don’t know how to describe this, but I love fire. Perhaps it’s the twelve-year-old in me, but when I got up to the cauldron I was giddy – like a kid who was just introduced to his first lighter. Hee hee. Pentax K20D; Pentax FA 28-200mm; f8; ISO 800; 1/20 sec. 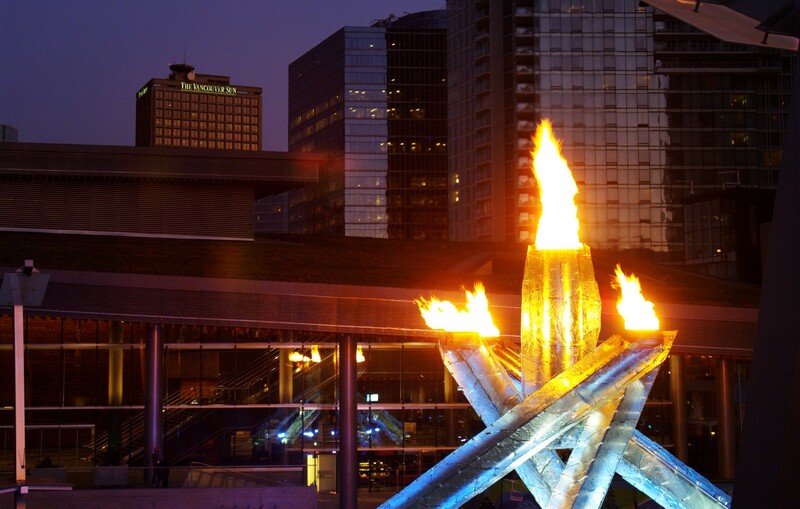 As I wandered around Vancouver’s downtown and waterfront area with 100,000 of my closest friends from all around the world, I couldn’t help but marvel at what the 2010 Olympics have accomplished. Firstly, I was apologized to five times by people bumping into me in Robson Square, where thousands of people were wandering and bumping into each other and no apology was necessary. I wonder if these are the most polite Winter Games in history. 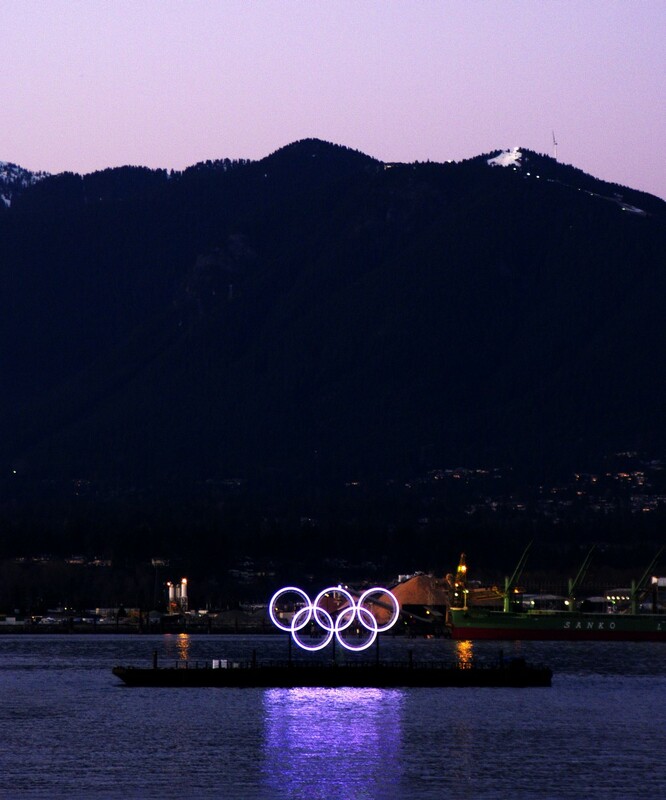 Secondly, I heard thousands of fellow Canadians “ooh”-ing and “aah”-ing and cheering every time anything remotely athletic happened, including when someone would fly by on the giant zip-line set up in downtown Vancouver. Thirdly, I heard complete strangers joining in victory when Canada scored and cry out in anguish as USA scored as we joined together to hope for a Men’s Hockey win. I confess, I love these games. btw, congratulations to Moir and Virtue – you were beautiful. Pentax K20D; Pentax FA 28-200mm; f8; ISO 800; 1/30 sec.